James Cartania first appears in the Painesville, Ohio, area in 1917 when he registers for the draft for World War I.
James Cartania was born on September 21, 1882, at Cartania, Italy. 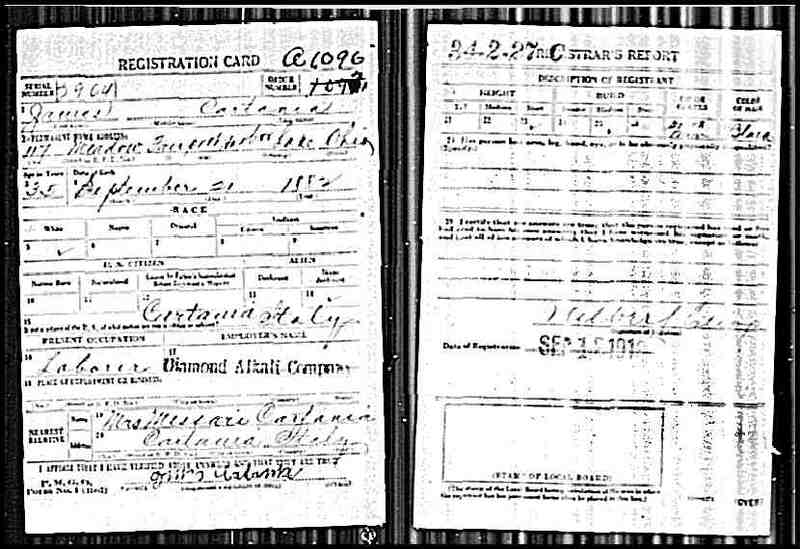 James Cartania registered for the World War I Draft on September 12, 1918. He was living at 117 Meadow Street, Fairport Harbor, Lake County, Ohio, and was employed by the Diamond Alkali Company. James Cartania’s name at birth is not known.